To hear Canadian meteorologists tell it, this winter is going to be one for the record books even by Canadian standards. Already, the northernmost areas throughout North America are experiencing record lows, early snowfall and other signs that this winter is going to be, well, epic. If your home is older and full of natural sources of outside air leaks, achieving indoor ventilation might not be such a source of concern as temperatures drop. After all, in older homes a fair amount of indoor/outdoor air exchange takes place every day through little cracks and leaks in windows, doors, crawl spaces, air ducts and other places. But if your home is newer and airtight, as so many modern structures are today, figuring out how to get adequate daily ventilation is a big deal. 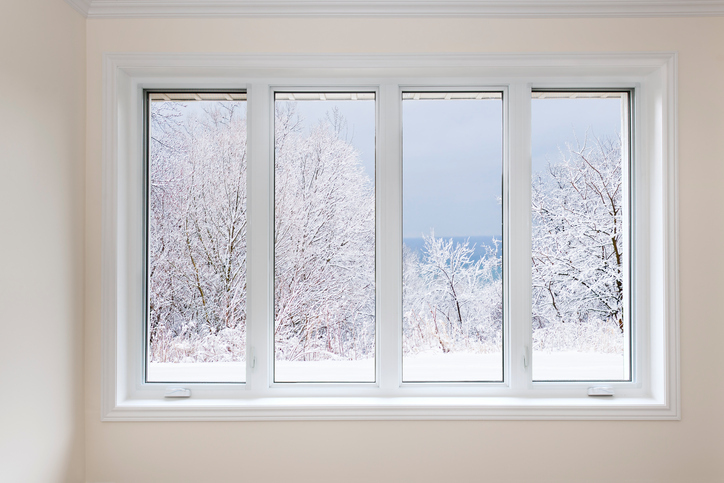 It becomes an especially big deal during the winter season, when even the thought of opening a door or window to get some fresh air will bring grumpy family members running quickly to shut it again! So how do you ventilate your indoor air without having to shiver and bundle up inside your own home space? We have a great solution and we think you are going to love it. It is called a heat recovery ventilator! A heat recovery ventilator, or HRV for short, is an appliance designed to keep your indoor air fresh and oxygenated all year long. A heat recovery ventilator’s main job is to draw in fresh air from outside and push out stale air from inside. But an HRV does this using two completely separate air channels so there is no leakage between fresh incoming air and stale outgoing air. A heat recovery ventilator can also help balance your indoor air humidity levels in summer and winter. And it can boost the efficiency of your air conditioning and furnace system and reduce your monthly heating and cooling bills by recovering lost heat in winter and extracting unwanted heat in summer. Best of all, as your heat recovery ventilator is pushing stale air out of your space, it is also busy removing toxins and pollutants. This nifty little device can be retrofitted to work with any central, ducted HVAC system. A heat recovery ventilator can also work together with other indoor air quality appliances such as a HEPA filtration system or an ultraviolet air purification system. Sometimes heat recovery ventilation is called “mechanical ventilation,” but it is important to know that heat recovery ventilation is just one type of mechanical ventilation. Have You Considered Scheduling an Indoor Air Quality Test? We may live in one of the prettiest countries in the world, but our lives are busier than ever today and we have less time to get outside and enjoy the fresh air and scenery. In fact, according to Health Canada, the average Canadian spends up to 90 percent of their time indoors. So this makes breathing clean, pure, fresh, oxygenated indoor air a huge priority! But how do you know your indoor air is less healthy and clean than it should be? The very best way to know the exact composition of your indoor air is to schedule an indoor air quality test. This silent 72-hour test takes small air samples at regular intervals and analyzes the air for toxins. At the end of the 72-hour test period, you receive a full-color print-out giving you the composition of your indoor air supply. While an indoor air quality test is definitely the gold standard in diagnosing indoor air quality problems, in many cases you don’t have to go that far to know you need fresher, cleaner air than what you are currently breathing! Strange odours in your indoor air could mean mould or mildew is growing. It can also mean your air has become stale and oxygen-depleted. If you experience respiratory symptoms, itchy eyes, headache, fatigue, memory and concentration issues, dizziness, lightheadedness, coughing and other symptoms when you are inside your home (and you don’t experience these symptoms elsewhere), this may be a sign your air is stale or even toxic. Humidity inside your home can mean moisture generated from within (such as from cooking, doing laundry or dishes, showering or using space humidifiers) can’t get out. If your attic or crawl spaces are not insulated and ventilated properly, you may find yourself continually adjusting the thermostat without any noticeable change in the temperature inside your home. Many modern homes and especially energy-efficient “green” spaces are built to be so airtight that leakage is nearly down to zero. This can be a great way to save money on your utility bills and, certainly, it can help save the planet. But it won’t necessarily do your health any favors if you don’t have mechanical ventilation to do what homes used to do naturally. Here at Clean Air Solutions Hamilton, we want to make sure that every customer we serve has clean, fresh, pure air to breathe all winter long. Right now, we are offering a special seasonal sale: 10 percent off of any of our popular professional air duct cleaning packages. Get your winter season off to the healthiest start by scheduling your duct cleaning service today—contact us online or give us a call at 905-544-2470 to claim your discount!